The severe cold has made this January a great time for working in the kitchen. Thoroughly inspired to do something, but not outside, I decided to make bratwurst. 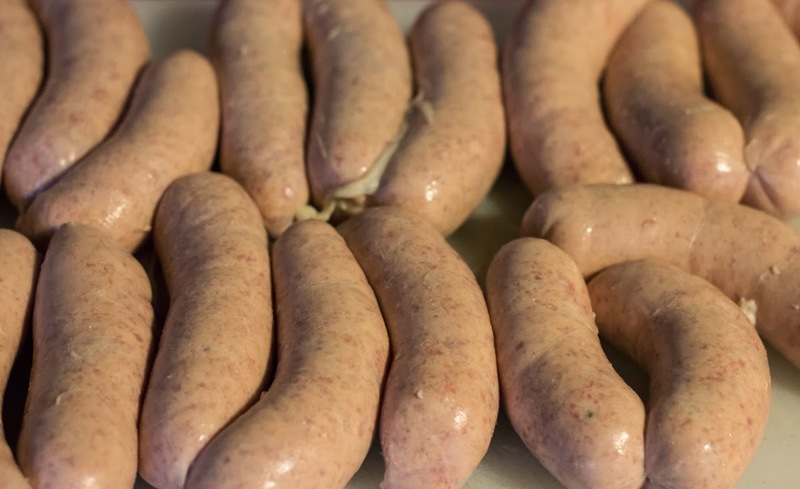 Bratwurst is an emulsified sausage, like weisswurst or kielbasa, but it's enriched with cream and eggs, rather than additional pork fat. 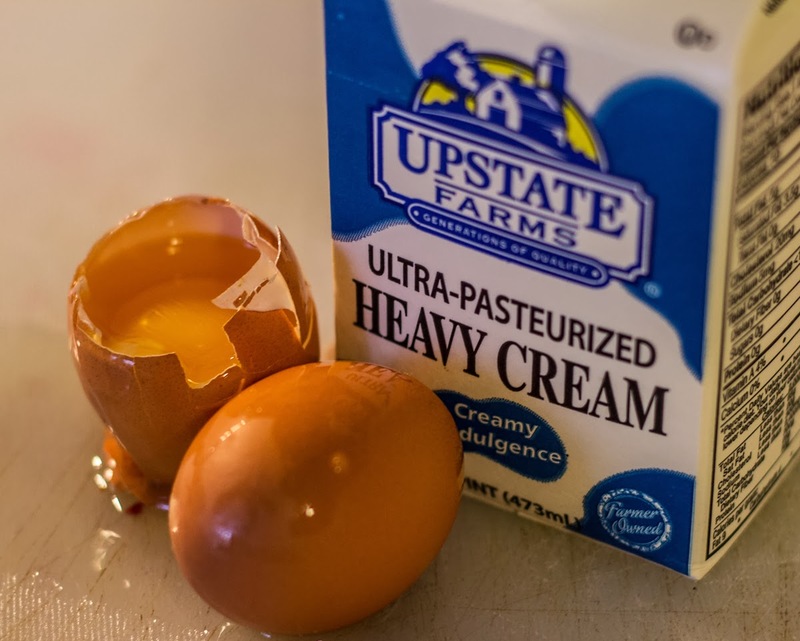 This still makes for a very rich sausage, but the eggs and cream seem to give it a softer, springier texture. 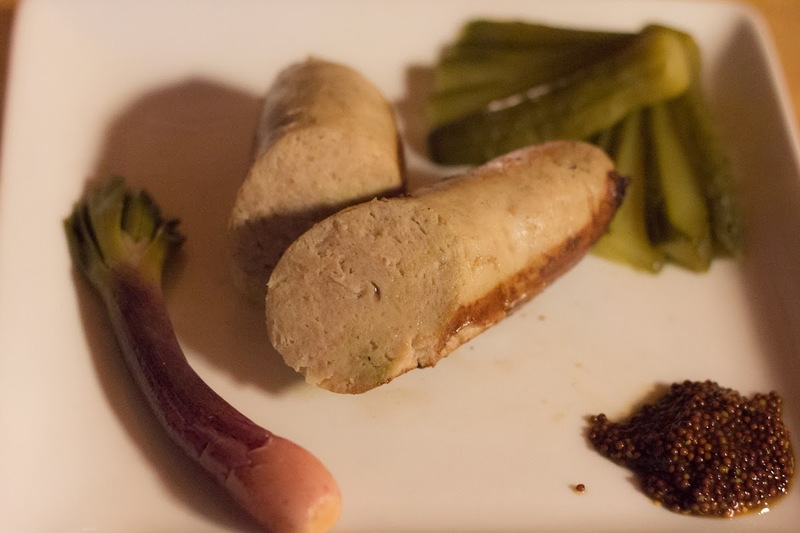 Seasoned with nutmeg and ginger, bratwurst are normally a mix of pork, veal, and pork backfat. While I previously skipped on the veal with my weisswurst, I found some stew veal that would happily lend themselves to the meat grinder. 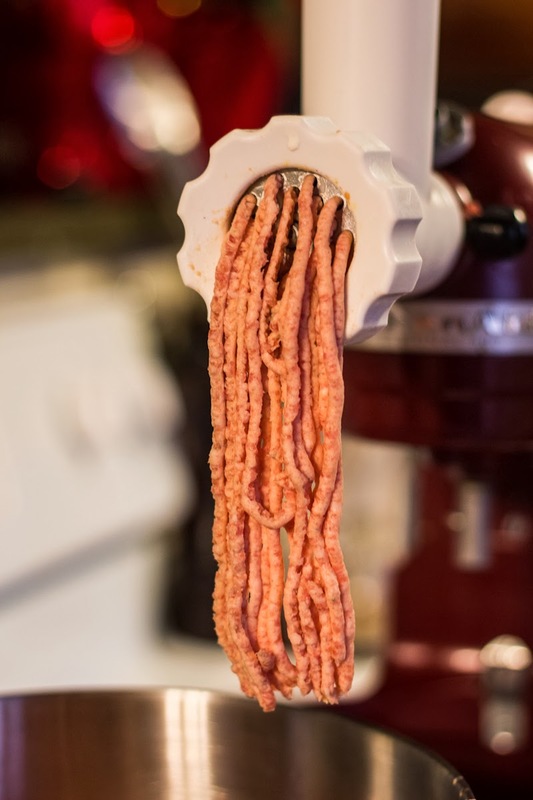 Making this sausage was very straightforward - just grinding the meat finer and finer while chilling to near-freezing in between grinds to keep the fat from smearing. I actually found it easier to make and handle than the weisswurst, which might be from the binding action of the eggs and cream. It made for a big, sticky forcemeat, but it always felt cohesive and not in danger of breaking the emulsion or smearing. 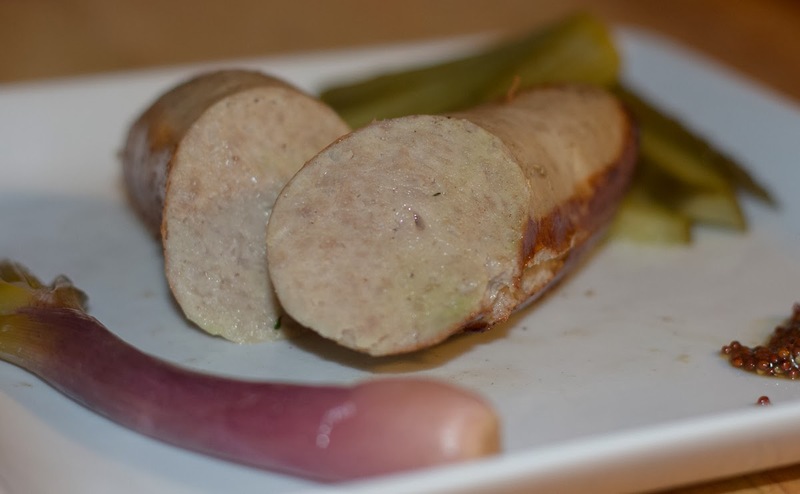 Unlike the kielbasa, I didn't poach these sausages and cooked them right in a medium-low skillet. Cutting into the bratwurst, I was pleased to see how evenly the sausage kept its definition. The gentle, warm spices of nutmeg and ginger were also great on a cold day, especially accented with some sharp pickled cucumbers and purple scallions. Although the amount of spice added to this sausage was small, it really shined through. My guess is that the mild flavor of veal didn't hide the spices as a stronger-tasting meat could. Plus the added cream and eggs would also help to carry those flavors. I imagine if I did this as a full pork bratwurst, I would need to up the amount of spice to keep the flavor up front.